Verdict: 4.5 / 5One of the best animated DC films ever made, it’s the Superman films DC fans deserve. Okay, let’s get two things out of the way. Firstly, spoilers. The story is exactly what the title says it is, so it’s no spoiler that Superman dies. 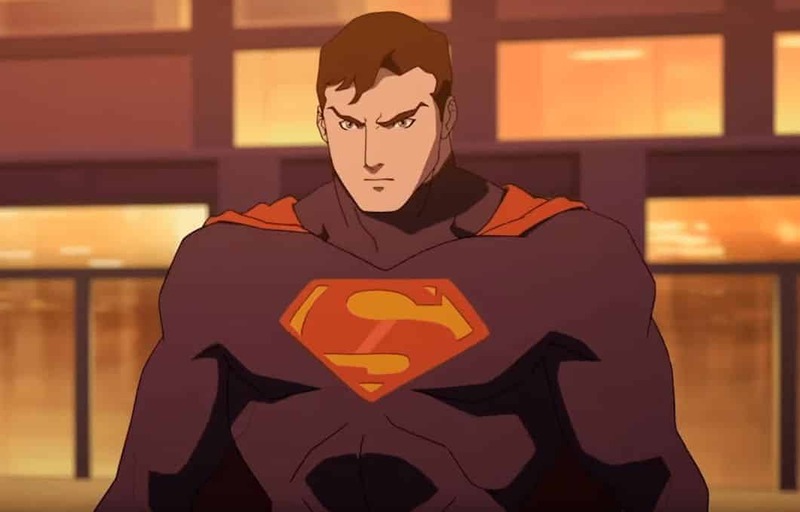 Heavily based on the original comic book event and covering similar ground to the Superman: Doomsday animated film (and the finale of BvS), The Death Of Superman covers, well, the death of Superman. Secondly, this film does it better than all those other versions. ALL of them. It’s easily one of the best DC animated films of all time. They got this one right. 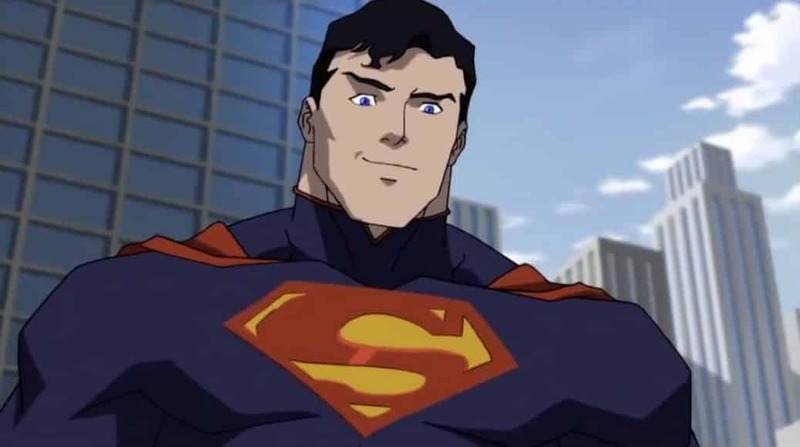 Superman’s life has been a good one lately: The citizens of Metropolis and the world respect and admire him, his fight for truth and justice is one he’s winning easily, and even the Justice League seem to be doing well. If there’s one area of his life where things don’t seem to be going smoothly, it’s with his civilian alter-ego Clark Kent’s relationship with Lois, as he struggles to tell his biggest secret to the woman he loves. However, when a meteor crash-lands in the ocean carrying Doomsday – an unstoppable creature who knows nothing but rage – everything changes for Superman. As Doomsday wreaks havoc, leaving a trail of death and destruction it its wake, even the combined might of the Justice League are incapable of stopping it. Only Superman can stop the creature, but is the Man of Steel ready for a fight he can’t win? For that, Superman has to be shown in the best light possible and The Death Of Superman wastes little time in presenting him as the understandably beloved hero of Metropolis. He says the right things even they sound a bit cheesy, he smiles and poses for photos, he’s polite enough to greet complete strangers, and rescues innocent bystanders. He’s a good guy, and people love him and respect him for that. That’s what makes his impending death resonate so powerfully – because we care about him. Basically,it’s everything that Zack Snyder got wrong about Superman’s death in BvS. Basically, it’s everything that Zack Snyder got wrong about Superman’s death in BvS. The impact of the loss of Superman means something here. 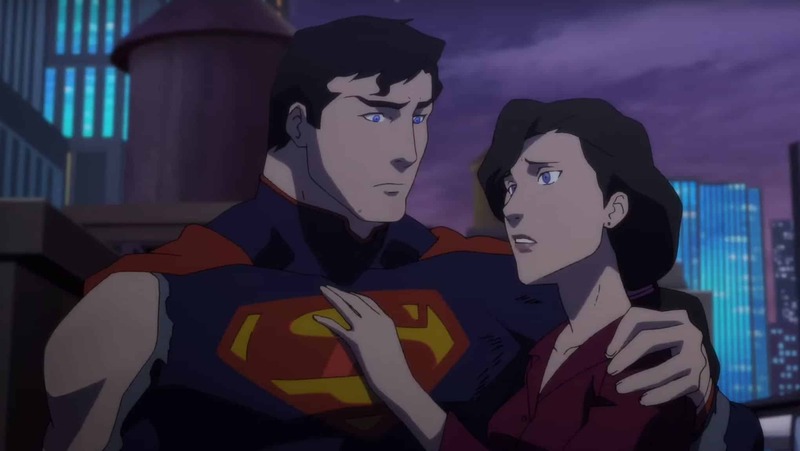 While The Death Of Superman may lack a few of the more tender moments seen in Superman: Doomsday and in the comic books, it still has enough to make an impact. A great deal of the first half of the film establishes the importance of Lois, Jimmy, Lex Luthor and even the lovable Bibbo in Superman’s life (and his importance in theirs) as much as the Justice League. It’s important to experience that, because the core of the story is the emotional connection. Meanwhile, future plot threads are brought up in subtle ways which feel incredibly natural. The action, when it kicks in, is everything you’d expect. Doomsday carries a genuine sense of menace as he easily ploughs his way through the Justice League’s roster, and every hit feels solid. Of course, it all leads up to the inevitable slugfest with the Man of Steel and the final fight doesn’t disappoint. Granted, there are a couple of small problems scattered throughout The Death Of Superman. Rainn Wilson seems miscast as the voice of Lex Luthor, although it doesn’t help that Lex’s contribution to the story is unfocused. Likewise, a couple of important character introductions are glossed over too briefly, although it’s still good that they’re included anyway. Also, a little more coverage of Jonathan and Martha Kent would have been appreciated, and Superman’s poor attempts at comedy early on feel as heavy-handed as they were in the live-action JL film. Aside from these minor faults though, just about everything else in The Death Of Superman works perfectly. It’s an intelligent, well-written script from Peter Tomasi that takes the source material and faithfully reworks it in to something more cinematic. In many ways it’s a shame that this script wasn’t used for a live-action DCEU movie, because it would have been brilliant. While The Death Of Superman may be a bit too serious for those looking for a standard superhero film, it’s every bit the Superman film that DC fans deserved. It’s not only recommended, it’s a must-see DC film which delivers the goods. it is better than BvS.. i already watch it..
Howard The Duck was better than SvB….screw it, MASTERS OF THE UNIVERSE was better! The fact that the dude over there said “SvB” and not “BvS” shows he is a Marvel fan boy that trolls DC. Someone ban him please? It’s better than most Marvel movies as well. saw it. easily one of the best animated dc movies. this is better than the comic version.this is is how you handle supes. Well, even Batman & Robin is better than BvS…soooo not a lot to go on. But should probably be ok. I think this film was spectacular as well, and hope it’s part of a drive by DC to focus major on Superman once again as the leading light of the DCU. I did, though, admire what Zack Snyder did with BvS, especially in the blue ray ultimate edition. It was a grand super hero saga, a credible conflict between world views. Essentially, I rather like Snyder’s take on the DC universe; his dark , grim style and baroque battle sequences are in sync with what the company has been doing for decades with their house style. And Justice League was quite a bit better than haters have let on; the faults of the movie lay with WBs getting their fingerprints on it, not with Snyder’s original work. Great addition to the DCAU. Even made some reference to previous relationship between WW and Supes.. Reign of the Supermen will be epic I hope. I enjoyed the DC animated movies more than the DCEU movies. Only live action one I enjoyed was Wonder Woman. I hope an animated movie based on the Legion of Superheroes with a little levity and Superboy eventually gets made.. Going to watch it tonight so will comment again. Damn I have to admit DC makes excellent animated movies. This one i will say is super. Slightly better than JL flashpoint and JL war. It’s very much like the comic book. So I’m very impressed. I can’t wait for the part two of this movie. I have never seen a movie like this. It is better than Superman Vs Batman. I become again a DC fan..
Not a fan of Superman but I will admit it, DC outdid themselves here. Superman died and Batman didn’t even attend his funeral. Plus, what the neck is up with ending? good job Peter Tomasi! I love this film!! this is the way to handle Superman! 5 stars for me! The best DC movie ever. This is freaking good. Made me a bonafide Superman fan. The only thing I didn’t like is Lex Luther and how is it that he found the crash site before the authorities.It seems that he always does this. It’s an intelligent, well-written script from Peter Tomasi that takes the source material and faithfully reworks it in to something more cinematic. The story is exactly what the title says it is, so it’s no spoiler that Superman dies.